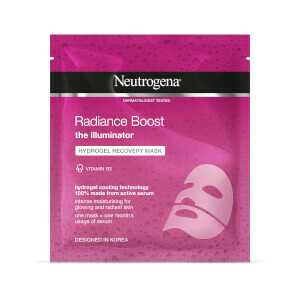 Discover NEUTROGENA® Ageless Boost Hydrogel Recovery Mask, a proven smart smoother in a new generation of face masks designed in Korea. Made from 100% Hydrogel fine-line smoothing formula enriched with Adenosine, this innovative texture wraps perfectly around your face like a second skin to maximise absorption of active ingredients. Hydrogel masks deliver the equivalent of one 30ml bottle of concentrated anti-ageing serum to your skin in just 15 minutes. Fine lines are reduced and skin feels smoother, more youthful-looking. 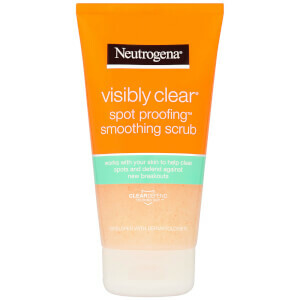 Does not clog pores - Suitable for use on sensitive skin. Aqua, Dipropylene Glycol, Propanediol, Chondrus Crispus Extract, Tremella Fuciformis Sporocarp Extract, Adenosine, Tocopherol, Plukenetia Volubilis Seed Oil, PEG-60 Hydrogenated Castor Oil, Sucrose Cocoate , Hydrolyzed Hyaluronic Acid, Sodium Hyaluronate, Ceratonia Siliqua Gum, Potassium Chloride, Xanthan Gum, Disodium EDTA, Trisodium EDTA, Chlorphenesin, Phenoxyethanol, Fragrance, CI 60730. 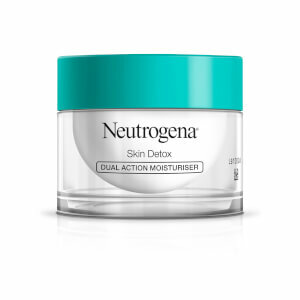 After a crazy busy weekend and not enough sleep, the Ageless Boost Hydrogel Recovery Mask from Neutrogena is just what I needed for a mini Monday morning pamper session before heading to work. Packed with product, this cooling, soothing and smoothing mask delivers one whole month's worth of anti-ageing serum in just 15 minutes. Designed in Korea and utilising the best of K-beauty innovation, the mask was wonderfully relaxing to use. The juicy, hydrating mask left my face feeling super smooth and rejuvenated, and ready to face the day. 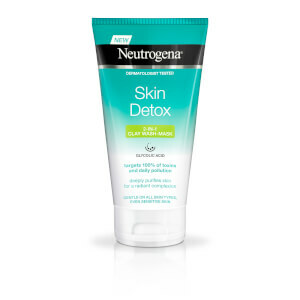 If your skin needs a beauty boost, I highly recommend this product. Aside from looking like Hannibal Lecter when trying on this mask it's actually done what it says on the tin. However I have some grumbles. 1. The mask had completly come off the white backing sheet when I took it out. No clue which way round the mask was meant to go. 2. The amount of liquid in the packet. Dripped everywhere when I put the packet down to try and figure out the mask. 3. Lack of detailed instructions because the backing had come off. 4. If you stand up with the mask on it felt like it would slide off. 5. When the madk was on it felt tingly On the plus side my fine lines around my eyes have gone completely and I liked the fragrance. Id use a serum if it was available but I would not use the mask again or recommend it to a friend. It just wasnt a pleasant experience. Leaves skin nourished and young-looking! This light-weight cream mask was very hydrating and easy to use. My skin looked visibly firmer and younger, and felt smooth and soft afterwards. It's a facelift in a packet, a great pick me up for tired skin. I would definitely recommend! So I was really looking forward to my mask! I couldn't imagine what it was going to look like coming out the packet. It was supposed to come backed on some plastic that you then peel off. 2 bits, one for the top half and one for the bottom half of the face. Unfortunately my mask had slipped off the plastic and was a crumpled mess at the bottom of the packed. Thankfully I was able to untangle it and apply it fairly easily. It had a couple of flaps for the eyes and lips. I wasn't brave enough to cover my eyes over. The shape of the whole thing didn't cover my entire face, as it would had it been a liquidy type mask. I left it on for half an hour, maximum time maximum effect right? My skin felt lovely and fresh while it was on and it was a comfortable feeling on my skin. It also had a really nice, subtle smell. I couldn't talk or laugh or it would slip off! After I took it off, there was a slight amount of he product left on my skin, so I rubbed it in per instructions. After I had rubbed it in my skin felt really soft, like it does after a facial in a salon. Lovely to have at home! I didn't see a huge amount of difference in my fine lines, but I guess I was hoping for a miracle. My skin did feel nice and plumped out and beautifully soft, so I was pleased. The packaging and how it was clumped at the bottom of the sachet, was disappointing. The feel of my skin after the mask, means that I will be using this one again! I would highly recommend it any time to anyone! I love it. Its easy to out on and feel so good after!! I absolutely loved using the sheet mask. I got married this month and actually used it the day before my big day - RESULT! I felt so rejuvenated and my skin felt better than ever. I would absolutely recommend this mask to everyone and am so glad that I put it to use :D it's very smoothing, cooling and made my skin feel so clear and look incredibly fresh - defo using it again !! This mask is very wet when initially taken out of the packet; it's very slippery. The actually mask is in two pieces , one for the top half and one for the bottom half of your face which I found aided application. Once placed on my face it felt very cool and refreshing; it was a pleasure to relax with it on . When I removed the mask from my face and massaged the remaining serum residue in I was amazed by how smooth my skin felt. The next morning my skin was still extremely smooth and my make up sat on my skin extra nicely compared to normal. I'm not sure if it has made me look younger , by reducing fine lines etc, but it has definitely made an impact on my skin after one use with with respect to looking and feeling smoother. Upon opening this I was a bit sceptical as it was really slippery & wasn't sure I would like it on my face, I struggled to get it out the packet. Once I put it on it felt lovely though & soothing. The results are good & I would definitely use this mask again. I would recommend to people looking for an anti-aging mask or product.